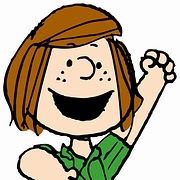 The delightful and refreshingly honest enthusiasm of Peppermint Patty, and her TomBoy nature set against her professed position as Charlie Brown's wannabe love interest puts a unique twist on the character. Katherine Dalin, who recently portrayed Prince Charming in Petite Opera's Cinderella (Cendrillon), speaks with Petite Opera's staff on her newfound cartoon dimension. What roles have you performed, which groups have you worked with? 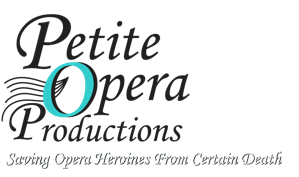 Petite Opera (Prince Charming/Cinderella (Cendrillon), Verismo Opera Theater (Flora/La Traviata), Fury Theatre (Mischievous Minstrel/Much Ado About Nothing) , Gilbert & Sullivan Opera Company (Ruth/Pirates of Penzance), Sugar Creek Symphony & Song (Mother Abbess/Suor Angelica; Zita/Gianni Schicchi), Elgin Opera (The Aunt/Madame Butterfly; Prince Orlofsky/Die Fledermaus; Papagena/Die Zauberföte), SouthEast Wisconsin Performing Arts (Sorceress/Dido; Witch/Hansel & Gretel) Chorus with Florentine Opera, Dupage Opera Theatre, Chamber Opera Chicago & da Corneto Opera Company. In June, I will be performing my first ever solo cabaret at Davenport's Piano Bar "Not a Fairy Tale Princess" will be a lighthearted look at life in mezzo-land, where the closest I get to playing fluffy romantic leads...is a pants role! What was is the favorite role you've played? Choosing one favorite role is a such a challenge with a wide range of characters to pick from, so I hope you indulge me as I opt to choose not just one, but two! Last year, I have the enormous privilege to play Ruth/Pirates of Penzance for the first time. This show has long been near and dear to my heart, and playing Ruth--a bawdy pirate lass--and building a both touching and hysterical portrayal was an immense joy. On the flipside, my previous performance with Petite Opera, as Prince Charming/Cinderella (Cendrillon) was equally fulfilling, though a wholly different show and character. The show is not often performed, and it was a pleasure to study this rarely performed, but thoroughly beautiful piece of French opera. The role was a vocal challenge, but bore a more distinctive play in my heart as my first ever "romantic lead" while also a pants role. This challenged me to find a loving tenderness with a masculine edge, and has fed well into my physicality as Peppermint Patty. What fascinates you about the PEPPERMINT PATTY character in Snoopy? What do you think the other SNOOPY characters feel towards PEPPERMINT PATTY? Lucy doesn't particularly care for Patty, beyond wanting another person to lord over...but, then again, Lucy doesn't like much anyone except Lucy. Sally definitely does NOT understand where Patty is coming from. After all, Sally wonders what isn't to love about fluffy dresses? Snoopy likes Patty well enough, even if she DOES call him Fuzzy Face. She gives pretty much the best belly rubs ever, and he doesn't judge her, just accepts her for who she is. It is with the boys that Patty finds her true bosom buddies. Linus and Patty share inside jokes (many at Lucy's expense) and, though Patty might tease Linus from time to time, it is in a pretty good-natured way. Likewise, Chuck and Patty have a pretty genuine friendship, and open up to one another in unique ways throughout the show. Neither of them is very good at expressing themselves, but maybe, just maybe, something builds between them. What is the most enlightening thing PEPPERMINT PATTY learns through the course of the show? Patty begins to find self acceptance. Yes, she is awkward at times, both physically and socially, and gets herself into strange situations. However, she starts to find out who she really is, and that there is much more to her than a limited "tomboy" stereotype. Also, boys might be cute. Growing up with three brothers and no sisters or female cousins near my age, I have always been very at home with being "one of the boys." Though in real life, I often did and do wear skirts and jewelry, I am equally comfortable climbing a tree, catching a newt and can throw overhand better than my husband. Just like Patty, I adore baseball, but I literally could not throw underhand to save my life! Every ounce of awkward self-discovery in Patty is authentic to my own experience. Even her dry sense of humor and no-nonsense attitude resonate with me! I like to think I might be a pretty good example of who Patty might grow up to be. 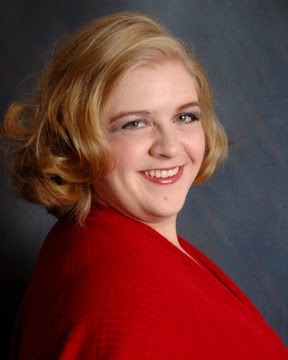 What do you find most difficult about portraying PEPPERMINT PATTY? Saying the words "up" and "Chuck" in immediate succession, and just in general, keeping a straight face! This is a truly delightful show and production. The cast is tremendous and all are bringing their characters to life in a deep and joyful manner. This is a thoroughly heart-warming show, and enjoyable for kids of all ages!